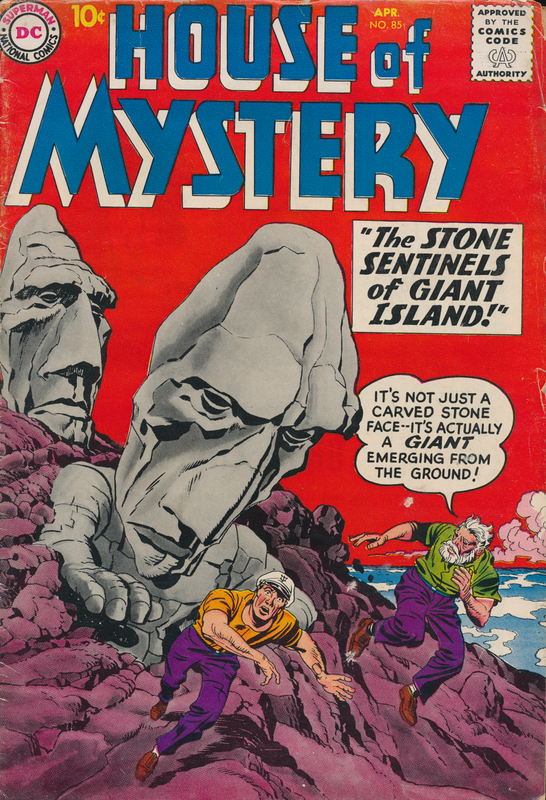 This Kirby-covered HOUSE OF MYSTERY would have been returned by the retailers for credit less than a month earlier. 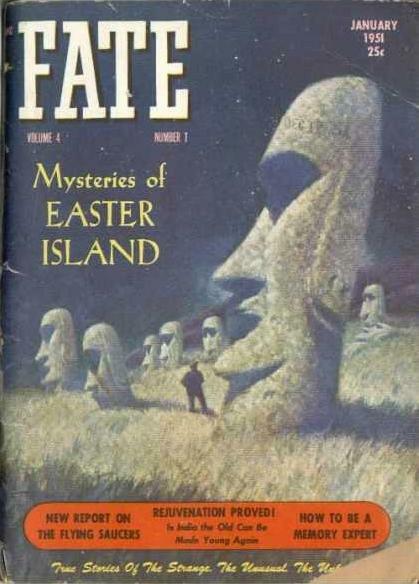 Thor Heyerdahl's book AKU AKU sold out 4 printings by November 1958 pushing Easter Island & its distinctive statues into the mainstream zeitgeist of the waning Fifties era. 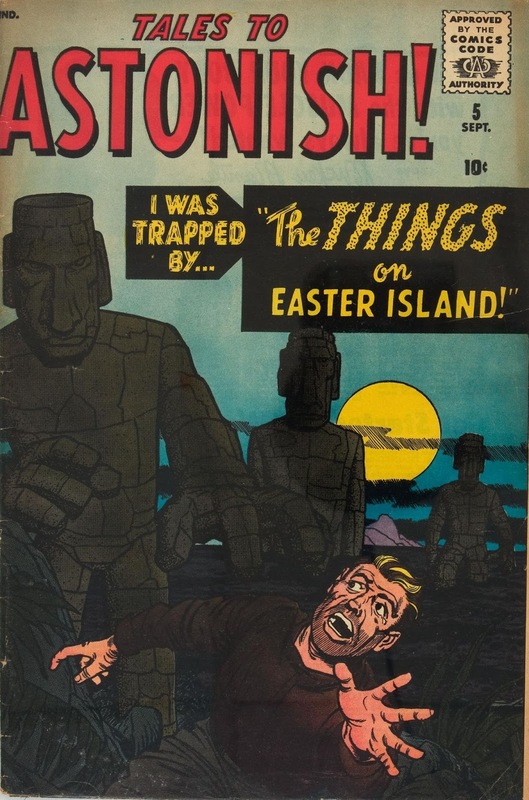 Maybe Kirby's story from TALES TO ASTONISH #5 could have appeared 8 years earlier if Kirby had read FATE in 1951.